As Saturday began, I didn’t think it was going to be a good day. I had made plans to meet some of my friends at the zoo with the girls, and getting the three of us up, dressed, fed, packed, and loaded wasn’t going so well, particularly because Etta seemed to be having some teething-related pain and was screaming her face off. Determined to get out the door and spend some time with friends I love, I gave her some Tylenol and a frozen teether, and got us on our way, practically chugging my coffee. 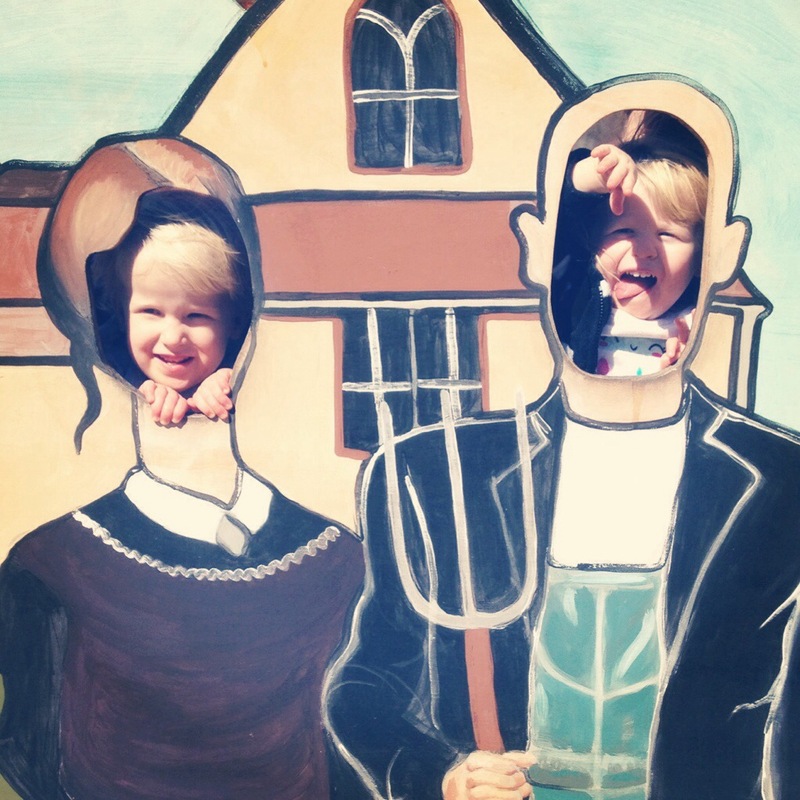 Then a funny thing happened: a perfect day. 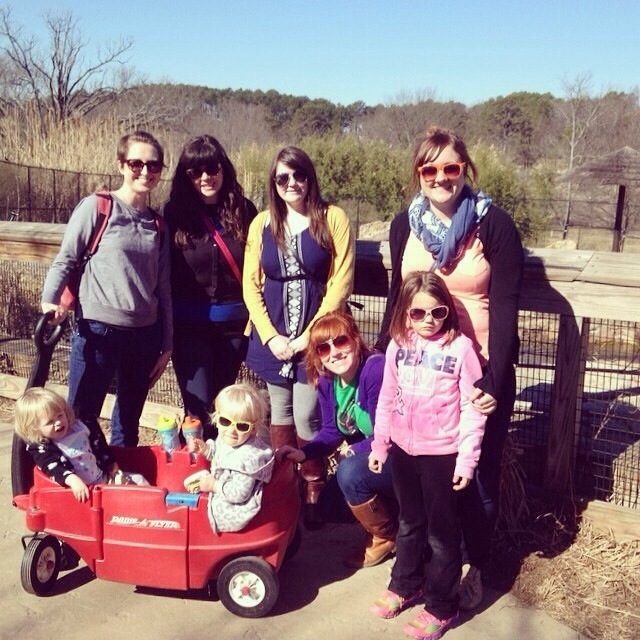 It turns out 5 adults, 1 elementary student, and 2 almost-two-year-olds is a good mix for a zoo day. I had help dragging the little red wagon, lifting babies to better vantage points, and entertaining kiddos at lunch. The girls had a big kid to watch and copy. 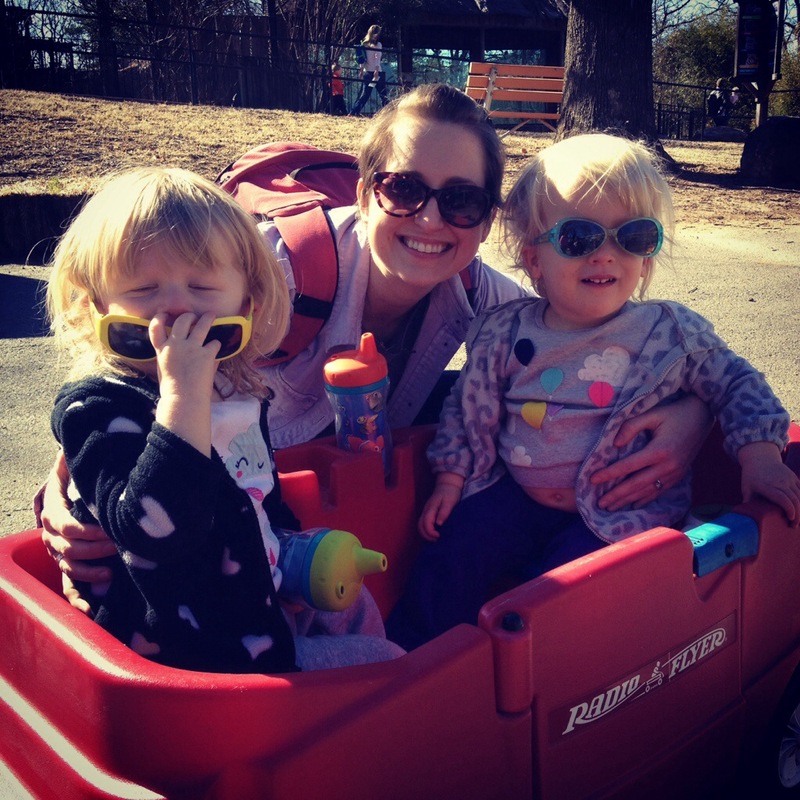 The weather was amazing– sunny and 70s after what seemed for a while to be an interminable, cold winter. 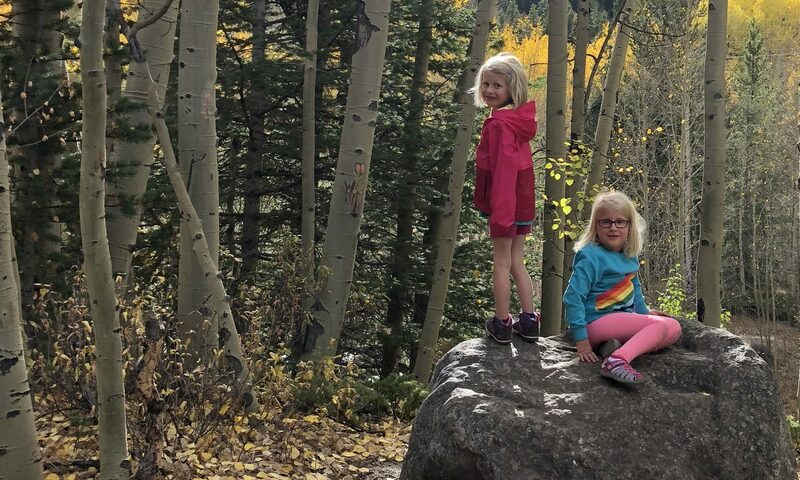 And for some reason, despite our screamy start, my children, perhaps because they love the outdoors, people and animals, were the best-behaved toddlers in the whole dang place. They made mostly-appropriate animal sounds when they saw elephants, tigers, lions, and monkeys. They may have called the penguins fish, but they seemed to really enjoy feeding time. And they rode in the wagon and were hoisted around by people who weren’t their parents with nothing but smiles and giggles. Only at the very end of the route through the zoo (we saw everything but the reptile house, which we all agreed could be skipped due to creepy) did anyone get the least bit tearful, and as we were an hour past naptime, it seemed completely reasonable. Our happy crew. 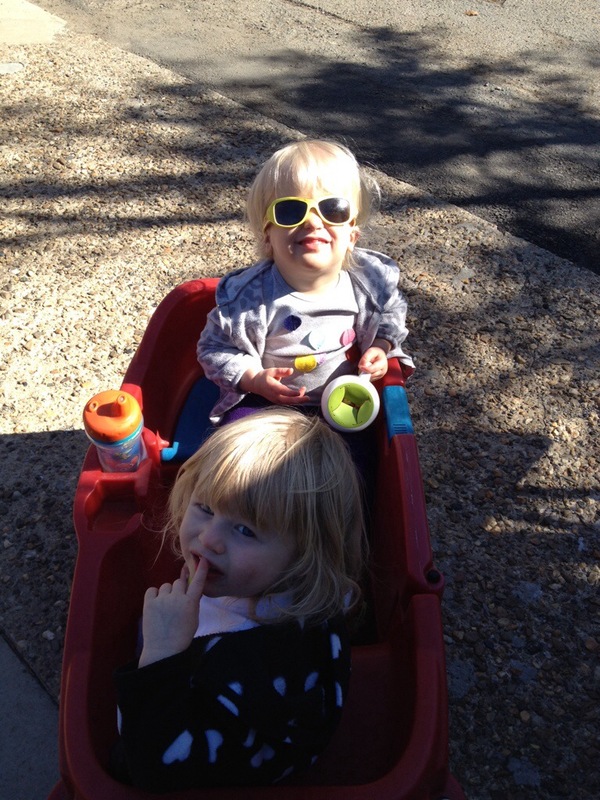 Etta would have been wearing sunglasses, too, but she took them off right as the picture was snapped. 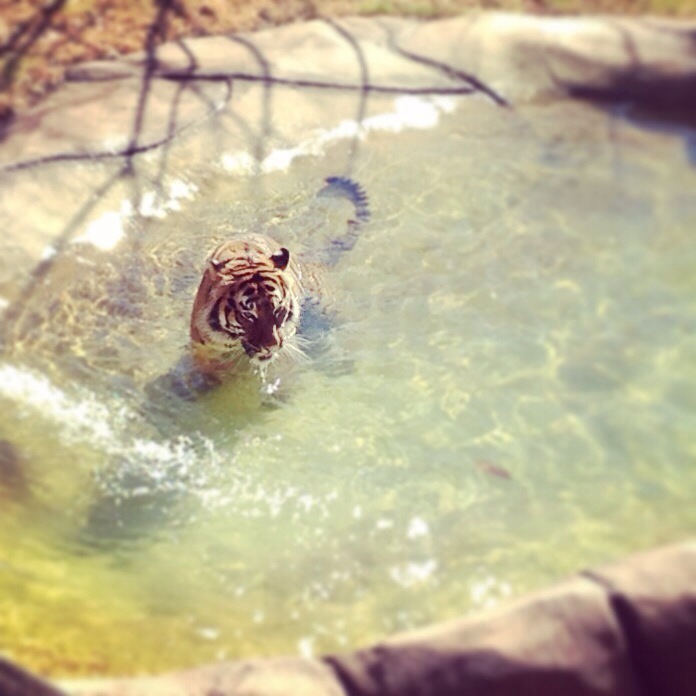 Loved getting to see this tiger going for a swim. Reminded me of Life of Pi. 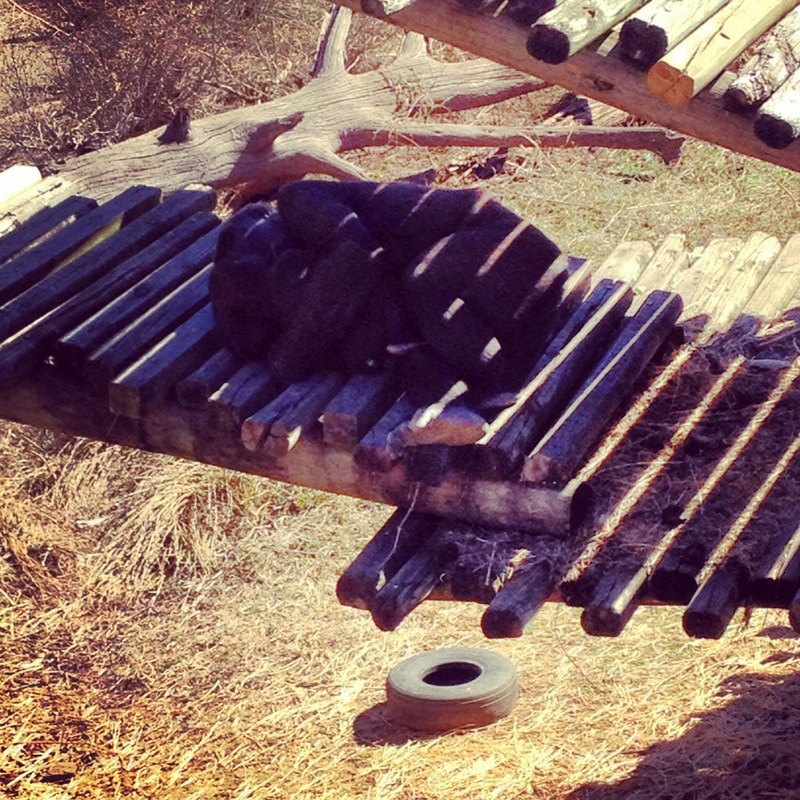 You can’t quite see it here, but it’s a mama gorilla napping with her baby in her arms. It reminded me of napping with my own girls– in fact, Claire and I had a snuggle nap when we got home from the zoo! We came home and Etta went down instantly and soundly for a nap. Claire needed some snuggles, so I made the real sacrifice of lying down with her in a cool, dark room, dozing and smelling her hair for two hours. We all woke up just as their daddy got home from work, and we cuddled in the den and watched Tinkerbell as we came out of our nap trances. We all spent the rest of the afternoon outside, soaking up some much-needed sunshine, and ended the day with more snuggles and some storytime. As I put Claire down to sleep, I was practically tearful with love for my amazing little family. Toddlers can be difficult, no doubt. There are lots of big emotions crammed into tiny bodies. They don’t quite speak English, which causes a lot of confusion on both sides. They don’t always understand why they can’t have their way/that thing they want, and they sometimes throw really impressive fits. But oh, once in a while, just often enough to keep me going, they have utterly magical days. I am so very thankful Saturday was one of them. Look at these goobers. Love them.